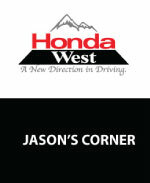 Honda West | Uncategorized | Winter Wheel Alignment is just as as important as Winter Tires. Winter Wheel Alignment is just as as important as Winter Tires. Oh boy! If you’ve read the Farmers’ Almanac or seen anything on the news people are certain this will be one of the coldest and harshest winters in recent memory. Of course, you may have already guessed that I’m going to talk about the importance of winter tires and what a difference they can make to the safety and handling of your vehicle when driving in temperatures below 7 degrees Celsius. Skeptical? All of our rental and loaner fleets are equipped with winter tires during the fall and winter months, come in and take them for a test drive to see for yourself the difference winter tires can make. 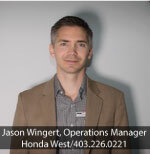 Once you have experienced the improvement in performance our trained service staff can help you choose the right winter tires for any vehicle. 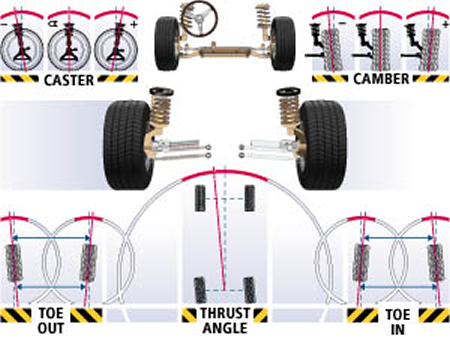 1) Wear and tear – tires and suspension components all take the strain of a vehicle that is out of alignment. Your winter tires are softer and wear quicker than summer or all season tires so your investment may evaporate prematurely if your vehicle isn’t aligned properly. 2) Efficiency – if your alignment is off your vehicle may be wasting efficiency by dragging itself down the road rather then rolling true and straight. You may experience this as a loss of power, a loss of fuel efficiency or odd steering sensation. Snowbanks, curbs and potholes are all hard to see and more likely to cause alignment issues throughout the winter. It makes sense to have your alignment checked before putting on your winter or summer tires. Your alignment should be checked with every tire rotation which typically happens every 20,000 km. 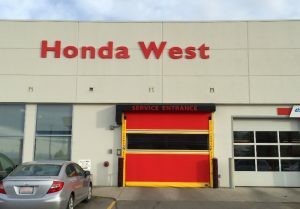 Honda West offers complimentary alignment checks to our customers throughout the year so if you have any concerns please contact us to have it checked with your regular maintenance. This will help prevent wear and tear on your tires, your vehicle and your wallet. Drive safe and stay warm this winter!